Source: Idea for a Universal History from a Cosmopolitan Point of View (1784). Translation by Lewis White Beck. From Immanuel Kant, “On History,” The Bobbs-Merrill Co., 1963. A short and very accessible text, it avoids the technical language of Kant’s larger works, but was written right between the 1st and 2nd editions of ‘Critique of Pure Reason’ and thus represents Kant in his ‘mature’ stage. 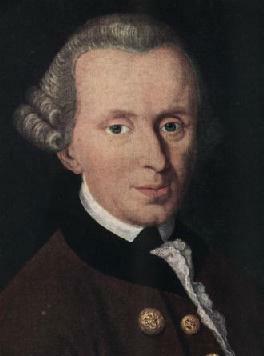 As a meditation on themes of world history, progress and enlightenment the essay picks up themes that Kant developed elsewhere but in a bold and programmatic fashion. It can thus be read productively in comparison to Hegel and Marx’s approaches to world history, and can in some ways be seen as setting a challenge which Hegel was to take up in his own philosophy, and which Marx was consequently to develop. Of particular interest in relation to Hegel and Marx is Kant’s reference to man’s “unsocial sociability” in the Fourth Thesis, which seems to suggest something like a socio-historical dialectic. We wish to see if we can succeed in finding a clue to such a history; we leave it to Nature to produce the man capable of composing it. Thus Nature produced Kepler, who subjected, in an unexpected way, the eccentric paths of the planets to definite laws; and she produced Newton, who explained these laws by a universal natural cause. Observation of both the outward form and inward structure of all animals confirms this of them. An organ that is of no use, an arrangement that does not achieve its purpose, are contradictions in the teleological theory of nature. If we give up this fundamental principle, we no longer have a lawful but an aimless course of nature, and blind chance takes the place of the guiding thread of reason. Nature does nothing in vain, and in the use of means to her goals she is not prodigal. Her giving to man reason and the freedom of the will which depends upon it is clear indication of her purpose. Man accordingly was not to be guided by instinct, not nurtured and instructed with ready-made knowledge; rather, he should bring forth everything out of his own resources. Securing his own food, shelter, safety and defense (for which Nature gave him neither the horns of the bull, nor the claws of the lion, nor the fangs of the dog, but hands only), all amusement which can make life pleasant, insight and intelligence, finally even goodness of heart-all this should be wholly his own work. In this, Nature seems to have moved with the strictest parsimony, and to have measured her animal gifts precisely to the most stringent needs of a beginning existence, just as if she had willed that, if man ever did advance from the lowest barbarity to the highest skill and mental perfection and thereby worked himself up to happiness (so far as it is possible on earth), he alone should have the credit and should have only himself to thank-exactly as if she aimed more at his rational self-esteem than at his well-being. For along this march of human affairs, there was a host of troubles awaiting him. But it seems not to have concerned Nature that he should live well, but only that he should work himself upward so as to make himself, through his own actions, worthy of life and of well-being. It remains strange that the earlier generations appear to carry through their toilsome labor only for the sake of the later, to prepare for them a foundation on which the later generations could erect the higher edifice which was Nature’s goal, and yet that only the latest of the generations should have the good fortune to inhabit the building on which a long line of their ancestors had (unintentionally) labored without being permitted to partake of the fortune they had prepared. However puzzling this may be, it is necessary if one assumes that a species of animals should have reason, and, as a class of rational beings each of whom dies while the species is immortal, should develop their capacities to perfection. The highest purpose of Nature, which is the development of all the capacities which can be achieved by mankind, is attainable only in society, and more specifically in the society with the greatest freedom. Such a society is one in which there is mutual opposition among the members, together with the most exact definition of freedom and fixing of its limits so that it may be consistent with the freedom of others. Nature demands that humankind should itself achieve this goal like all its other destined goals. Thus a society in which freedom under external laws is associated in the highest degree with irresistible power, i.e., a perfectly just civic constitution, is the highest problem Nature assigns to the human race; for Nature can achieve her other purposes for mankind only upon the solution and completion of this assignment. Need forces men, so enamored otherwise of their boundless freedom, into this state of constraint. They are forced to it by the greatest of all needs, a need they themselves occasion inasmuch as their passions keep them from living long together in wild freedom. Once in such a preserve as a civic union, these same passions subsequently do the most good. It is just the same with trees in a forest: each needs the others, since each in seeking to take the air and sunlight from others must strive upward, and thereby each realizes a beautiful, straight stature, while those that live in isolated freedom put out branches at random and grow stunted, crooked, and twisted. All culture, art which adorns mankind, and the finest social order are fruits of unsociableness, which forces itself to discipline itself and so, by a contrived art, to develop the natural seeds to perfection. The difficulty which the mere thought of this problem puts before our eyes is this. Man is an animal which, if it lives among others of its kind, requires a master. For he certainly abuses his freedom with respect to other men, and although as, a reasonable being he wishes to have a law which limits the freedom of all, his selfish animal impulses tempt him, where possible, to exempt himself from them. He thus requires a master, who will break his will and force him to obey a will that is universally valid, under which each can be free. But whence does he get this master? Only from the human race. But then the master is himself an animal, and needs a master. Let him begin it as he will, it is not to be seen how he can procure a magistracy which can maintain public justice and which is itself just, whether it be a single person or a group of several elected persons. For each of them will always abuse his freedom if he has none above him to exercise force in accord with the laws. The highest master should be just in himself, and yet a man. This task is therefore the hardest of all; indeed, its complete solution is impossible, for from such crooked wood as man is made of, nothing perfectly straight can be built. That it is the last problem to be solved follows also from this: it requires that there be a correct conception of a possible constitution, great experience gained in many paths of life, and – far beyond these-a good will ready to accept such a constitution. Three such things are very hard, and if they are ever to be found together, it will be very late and after many vain attempts. What is the use of working toward a lawful civic constitution among individuals, i.e., toward the creation of a commonwealth? The same unsociability which drives man to this causes any single commonwealth to stand in unrestricted freedom in relation to others; consequently, each of them must expect from another precisely the evil which oppressed the individuals and forced them to enter into a lawful civic state. The friction among men, the inevitable antagonism, which is a mark of even the largest societies and political bodies, is used by Nature as a means to establish a condition of quiet and security. Through war, through the taxing and never-ending accumulation of armament, through the want which any state, even in peacetime, must suffer internally, Nature forces them to make at first inadequate and tentative attempts; finally, after devastations, revolutions, and even complete exhaustion, she brings them to that which reason could have told them at the beginning and with far less sad experience, to wit, to step from the lawless condition of savages into a league of nations. In a league of nations, even the smallest state could expect security and justice, not from its own power and by its own decrees, but only from this great league of nations (Foedus Amphictyonum), from a united power acting according to decisions reached under the laws of their united will. However fantastica1 this idea may seem-and it was laughed at as fantastical by the Abbé de St. Pierre and by Rousseau, perhaps because they believed it was too near to realization – the necessary outcome of the destitution to which each man is brought by his fellows is to force the states to the same decision (hard though it be for them) that savage man also was reluctantly forced to take, namely, to give up their brutish freedom and to seek quiet and security under a lawful constitution. [There are three questions here, which really come to one.] Would it be expected from an Epicurean concourse of efficient causes that states, like minute particles of matter in their chance contacts, should form all sorts of unions which in their turn are destroyed by new impacts, until once, finally, by chance a structure should arise which could maintain its existence – a fortunate accident that could hardly occur? Or are we not rather to suppose that Nature here follows a lawful course in gradually lifting our race from the lower levels of animality to the highest level of humanity, doing this by her own secret art, and developing in accord with her law all the original gifts of man in this apparently chaotic disorder? Or perhaps we should prefer to conclude that, from all these actions and counteractions of men in the large, absolutely nothing, at least nothing wise, is to issue? That everything should remain as it always was, that we cannot therefore tell but that discord, natural to our race, may not prepare for us a hell of evils, however civilized we may now be, by annihilating civilization and all cultural progress through barbarous devastation? (This is the fate we may well have to suffer under the rule of blind chance – which is in fact identical with lawless freedom – if there is no secret wise guidance in Nature.) These three questions, I say, mean about the same as this: Is it reasonable to assume a purposiveness in all the parts of nature and to deny it to the whole? Purposeless savagery held back the development of the capacities of our race; but finally, through the evil into which it plunged mankind, it forced our race to renounce this condition and to enter into a civic order in which those capacities could be developed. The same is done by the barbaric freedom of established states. Through wasting the powers of the commonwealths in armaments to be used against each other, through devastation brought on by war, and even more by the necessity of holding themselves in constant readiness for war, they stunt the full development of human nature. But because of the evils which thus arise, our race is forced to find, above the (in itself healthy) opposition of states which is a consequence of their freedom, a law of equilibrium and a united power to give it effect. Thus it is forced to institute a cosmopolitan condition to secure the external safety of each state. Such a condition is not unattended by the danger that the vitality of mankind may fall asleep; but it is at least not without a principle of balance among men’s actions and counteractions, without which they might be altogether destroyed. Until this last step to a union of states is taken, which is the halfway mark in the development of mankind, human nature must suffer the cruelest hardships under the guise of external well-being; and Rousseau was not far wrong in preferring the state of savages, so long, that is, as the last stage to which the human race must climb is not attained. To a high degree we are, through art and science, cultured. We are civilized – perhaps too much for our own good – in all sorts of social grace and decorum. But to consider ourselves as having reached morality – for that, much is lacking. The ideal of morality belongs to culture; its use for some simulacrum of morality in the love of honor and outward decorum constitutes mere civilization. So long as states waste their forces in vain and violent self-expansion, and thereby constantly thwart the slow efforts to improve the minds of their citizens by even withdrawing all support from them, nothing in the way of a moral order is to be expected. For such an end, a long internal working of each political body toward the education of its citizens is required. Everything good that is not based on a morally good disposition, however, is nothing but pretense and glittering misery. In such a condition the human species will no doubt remain until, in the way I have described, it works its way out of the chaotic conditions of its international relations. This is a corollary to the preceding. Everyone can see that philosophy can have her belief in a millennium, but her millennarianism is not Utopian, since the Idea can help, though only from afar, to bring the millennium to pass. The only question is: Does Nature reveal anything of a path to this end? And I say: She reveals something, but very little. This great revolution seems to require so long for its completion that the short period during which humanity has been following this course permits us to determine its path and the relation of the parts to the whole with as little certainty as we can determine, from all previous astronomical observation, the path of the sun and his host of satellites among the fixed stars. Yet, on the fundamental premise of the systematic structure of the cosmos and from the little that has been observed, we can confidently infer the reality of such a revolution. Moreover, human nature is so constituted that we cannot be indifferent to the most remote epoch our race may come to, if only we may expect it with certainty. Such indifference is even less possible for us, since it seems that our own intelligent action may hasten this happy time for our posterity. For that reason, even faint indications of approach to it are very important to us. At present, states are in such an artificial relation to each other that none of them can neglect its internal cultural development without losing power and influence among the others. Therefore the preservation of this natural end [culture], if not progress in it, is fairly well assured by the ambitions of states. Furthermore, civic freedom can hardly be infringed without the evil consequences being felt in all walks of life, especially in commerce, where the effect is loss of power of the state in its foreign relations. But this freedom spreads by degrees. When the citizen is hindered in seeking his own welfare in his own way, so long as it is consistent with the freedom of others, the vitality of the entire enterprise is sapped, and therewith the powers of the whole are diminished. Therefore limitations on personal actions are step by step removed, and general religious freedom is permitted. Enlightenment comes gradually, with intermittent folly and caprice, as a great good which must finally save men from the selfish aggrandizement of their masters, always assuming that the latter know their own interest. This enlightenment, and with it a certain commitment of heart which the enlightened man cannot fail to make to the good he clearly understands, must step by step ascend the throne and influence the principles of government. Although, for instance, our world rulers at present have no money left over for public education and for anything that concerns what is best in the world, since all they have is already committed to future wars, they will still find it to their own interest at least not to hinder the weak and slow, independent efforts of their peoples in this work. In the end, war itself will be seen as not only so artificial, in outcome so uncertain for both sides, in after-effects so painful in the form of an ever-growing war debt (a new invention) that cannot be met, that it will be regarded as a most dubious undertaking. The impact of any revolution on all states on our continent, so closely knit together through commerce, will be so obvious that the other states, driven by their own danger but without any legal basis, will offer themselves as arbiters, and thus they will prepare the way for a distant international government for which there is no precedent in world history. Although this government at present exists only as a rough outline, nevertheless in all the members there is rising a feeling which each has for the preservation of the whole. This gives hope finally that after many reformative revolutions, a universal cosmopolitan condition, which Nature has as her ultimate purpose, will come into being as the womb wherein all the original capacities of the human race can develop. It is strange and apparently silly to wish to write a history in accordance with an Idea of how the course of the world must be if it is to lead to certain rational ends. It seems that with such an Idea only a romance could be written. Nevertheless, if one may assume that Nature, even in the play of human freedom, works not without plan or purpose, this Idea could still be of use. Even if we are too blind to see the secret mechanism of its workings, this Idea may still serve as a guiding thread for presenting as a system, at least in broad outlines, what would otherwise be a planless conglomeration of human actions. For if one starts with Greek history, through which every older or contemporaneous history has been handed down or at least certified; if one follows the influence of Greek history on the construction and misconstruction of the Roman state which swallowed up the Greek, then the Roman influence on the barbarians who in turn destroyed it, and so on down to our times; if one adds episodes from the national histories of other peoples insofar as they are known from the history of the enlightened nations, one will discover a regular progress in the constitution of states on our continent (which will probably give law, eventually, to all the others). If, further, one concentrates on the civic constitutions and their laws and on the relations among states, insofar as through the good they contained they served over long periods of time to elevate and adorn nations and their arts and sciences, while through the evil they contained they destroyed them, if only a germ of enlightenment was left to be further developed by this overthrow and a higher level was thus prepared – if, I say, one carries through this study, a guiding thread will be revealed. It can serve not only for clarifying the confused play of things human, and not only for the art of prophesying later political changes (a use which has already been made of history even when seen as the disconnected effect of lawless freedom), but for giving a consoling view of the future (which could not be reasonably hoped for without the presupposition of a natural plan) in which there will be exhibited in the distance how the human race finally achieves the condition in which all the seeds planted in it by Nature can fully develop and in which the destiny of the race can be fulfilled here on earth. Such a justification of Nature – or, better, of Providence – is no unimportant reason for choosing a standpoint toward world history. For what is the good of esteeming the majesty and wisdom of Creation in the realm of brute nature and of recommending that we contemplate it, if that part of the great stage of supreme wisdom which contains the purpose of all the others – the history of mankind – must remain an unceasing reproach to it? If we are forced to turn our eyes from it in disgust, doubting that we can ever find a perfectly rational purpose in it and hoping for that only in another world? That I would want to displace the work of practicing empirical historians with this Idea of world history, which is to some extent based upon an a priori principle, would be a misinterpretation of my intention. It is only a suggestion of what a philosophical mind (which would have to be well versed in history) could essay from another point of view. Otherwise the notorious complexity of a history of our time must naturally lead to serious doubt as to how our descendants will begin to grasp the burden of the history we shall leave to them after a few centuries. They will naturally value the history of earlier times, from which the documents may long since have disappeared, only from the point of view of what interests them, i.e., in answer to the question of what the various nations and governments have contributed to the goal of world citizenship, and what they have done to damage it. To consider this, so as to direct the ambitions of sovereigns and their agents to the only means by which their fame can be spread to later ages: this can be a minor motive for attempting such a philosophical history. 1. A statement in the “Short Notices” or the twelfth number of the Gothaische Gelehrte Zeitung of this year , which no doubt was based on my conversation with a scholar who was traveling through, occasions this essay, without which that statement could not be understood. 2. The role of man is very artificial. How it may be with the dwellers on other planets and their nature we do not know. If, however, we carry out well the mandate given us by Nature, we can perhaps flatter ourselves that we may claim among our neighbors in the cosmos no mean rank. Maybe among them each individual can perfectly attain his destiny in his own life. Among us, it is different; only the race can hope to attain it. 3. An allusion to the Amphictyonic League, a league of Greek tribes originally for the protection of a religious shrine, which later gained considerable political power. 4. Charles-Irénée Castel, Abbé de Saint Pierre (1658-1743), in his Projet de paix perpetuelle (Utrecht, 17l3). Trans. H. H. Bellot (London, 1927). 5. In his Extrait du projet de paix perpetuelle de M. l’Abbé dc St. Pierre (1760). Trans. C. E. Vaughn, A Lasting Peace through the Federation of Europe (London, 1917). 6. For the Kantian sense of “Idea,” see Introduction, p. xix and note 15. 7. Only a learned public, which has lasted from its beginning to our own day, can certify ancient history. Outside it, everything else is terra incognita; and the history of peoples outside it can only be begun when they come into contact with it. This happened with the Jews in the time of the Ptolemies through the translation of the Bible into Greek, without which we would give little credence to their isolated narratives. From this point, when once properly fixed, we can retrace their history. And so with all other peoples. The first page of Thucydides, says Hume, [“Of the Populousness of Ancient Nations” in Essays Moral, Political, and Literary, eds. Green and Grose, Vol. I, p. 414.] is the only beginning of all real history.